I am standing by the stunning, intact Luxor temple by floodlight and gazing at Africa’s great river and I can only wonder at a scene that has remained unchanged for centuries. In Egypt, the past and the present are before you all the time, perhaps more so than anywhere else on Earth. 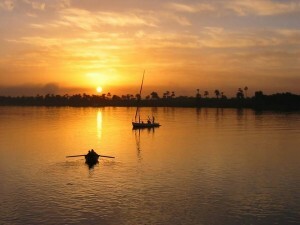 The best way to appreciate both and how they still relate to each other is to take a trip down the Nile, the river that has formed Egyptian history. 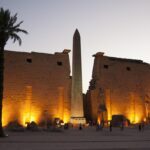 Egypt has experienced more than its fair share of history in recent times; but the main sites between Luxor and Aswan are once again welcoming tourists, and cruise ships have returned to the Nile. 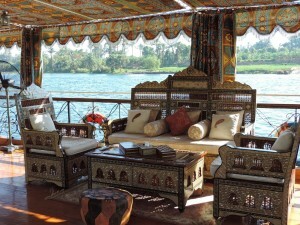 My home for the next seven nights, and the boat that will take me to Aswan is the Dahabiya Dream. It is a beautiful houseboat with its polished wooden decks, brass fittings and silver service conjures memories of the grand tours in the golden age of travel. With just six cabins, and a member of crew for every passenger, it is the most comfortable way to see the sights and far away from the usual 4 to 5 storey tourist ships reminiscent of cross channel ferries. 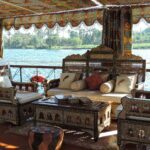 I go aboard with my fellow travellers, and as we sip cold drinks under the awning on the top deck, the boat sets off, travelling upstream along Egypt’s majestic river. 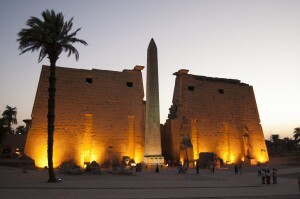 Egypt’s greatest monuments are all within easy reach of the Nile, and for good reason. Throughout history, the river has been the country’s main route of transport and communication, as well as the source of its life and fortune. 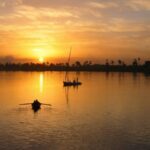 Egypt’s people have always depended on the Nile for their water, as have the farmers who still make up the majority of Egypt’s population and means all life is focussed along the river’s narrow valley throughout the length of Egypt and beyond. Spectacular monuments are not the only draw when travelling on a dahabiya. Due to its unique design you can access remote spots along river, far from anything and moor up with only local birds, dates palms and the occasional grazing donkeys. The sunset in Egypt is a sight in its own right and as the sun starts to set, the sky changes hue from pink to a deep crimson and is a photographers dream. Our captain finds a perfect spot on a small uninhabited island in the river’s stream and we anchor for the night just as a local farmer is leaving for the day and sky starts to blaze with an unpolluted view of the star sky. I wake the next morning to discover that we are already sailing. 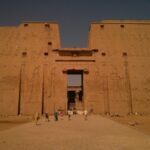 The first stop is the city of Esna where Dahabiya Dream will pass the famous Esna Lock in order to continue our journey to Aswan. For all of time the Nile has flowed as an unstoppable force from its source to the Mediterranean until the 20th century when its force was tamed by man. The lock at Esna was built under British rule to facilitate irrigation of the fields but nowadays it has little practical function, but remains a barrier to shipping and creates an intriguing moment of modernity on the trip. 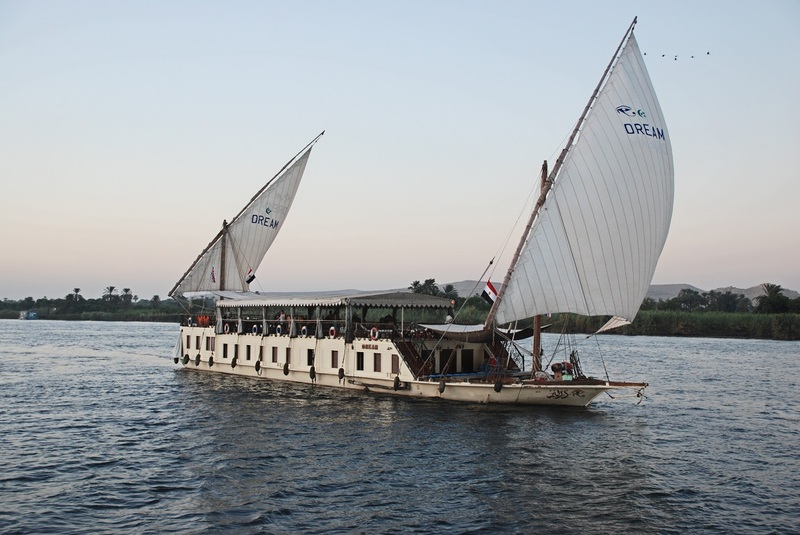 The following day I am on deck and a site emerges along the Nile that is both spectacular and surprising. We have been sailing along languid stretches of water with wading birds seeking food and waving at village children as they run along the banks and then the river narrows and flows through sheer cliffs. This is the stunning first view you get of the site of Gebel el-Silsila. The sandstone of southern Egypt gives way to darker limestone. The cliffs at Gebel el-Silsila have been cut away by years of quarrying and create dramatic swathes through the rocks. The great Stele of Akhenaten came from here and it is thought that 3000 labourers produced the quarried stone that built the Ramesseum. Today, the site is abandoned and empty, but it feels as if the workers could turn up at any moment and start work again. Here is one of the most magical places on the Nile and is the site of a current excavation project that is uncovering newly found tombs and which will potentially make Gebel el-Silisa the “must see” site of the future. We continue sailing and after few hours I can see the ruins of Kom-ombo temple imposing on the river bank, a very beautiful temple dedicated to two deities Hours the falcon and Sobek the Crocodile and brings memories of Agatha Christies “Death on the Nile” film which was filmed in part here. This morning we sail to Aswan a city with a breath-taking views of the River Nile running through the cataracts, we head out with my fellow travellers to explore the temple of Philea which is dedicated to the beautiful goddess Isis, the whole temple complex is on island surrounded by the Nile which makes it unique with stunning views and even more so when you realise the temple was moved from its original site to save it from flood waters. While in Aswan I made sure the following day, I visited the great Abu-simbel temples which is one of the Ancient Egypt masterpieces. After lunch we set sail downstream back to Luxor. I can see why lots of travellers and tourists have fallen under the Nile Valley’s spell. I am captured by it too and from the deck of a dahabiya you feel as in touch with the ancient history as you are with the present. After a full day sailing, we are approaching Luxor, where I am going to end my unforgettable trip by exploring the greatest monuments of all: the terraced temple of Hatshepsut, the painted tombs of the Valley of the Kings including the tomb of Tutankhamen and the house of Howard Carter made immortal by his discovery of the boy king and his treasures and on to the Magnificent Karnak temple which is a vast open-air museum and the largest ancient religious site in the world and Luxor temple dedicated to the Theban triad of Amun, Mut, and Chons.